To be a Lutheran is to be a Christian (not the other way around!). Many characteristics of the Lutheran way are also traits of other Christian traditions. Lutherans have no monopoly on certain ways of being Christian, but are part of the ``church catholic'' (``catholic'' means ``universal''). 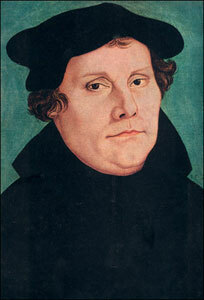 The Lutheran Church comes out of Martin Luther's sixteenth-century protesting of certain Roman Catholic church teachings for which Luther found no biblical basis. His primary insight into the Gospel was that salvation is never earned by our own effort, but is a free gracious gift of God. 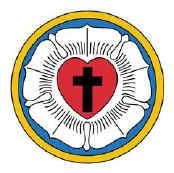 Thus, Lutherans have ties to Roman Catholicism (Martin Luther was, after all, an Augustinian monk), as well as to other Protestant churches. Lutheran Christians confess Jesus as the Christ, the Savior of the World. Through Jesus, God has said to us, ``Yes. I made you. I sustain you. I love you. I give you forgiveness, wholeness, and eternal life. The gift is unconditional. You need not be somebody or do anything to deserve the gift. It's free and can't be bought for any price! Only receive it by faith.'' Faith is not intellectual acceptance of doctrines about God, but dynamic, life-changing trust that God's promises will be kept. The good works that we do are done out of thankfulness to God for what we have already received, not out of a need to earn God's favor. the task of reminding ourselves that we are catholic. We are not a breakaway sect but a part of the continuation of the universal church built upon the foundation of Christ and the apostles. We live for the healing of division within the whole church. the task of serving as an evangelical teaching movement within the universal church---teaching that God's unconditional grace in Christ is the center of the Christian faith. We joyfully proclaim the good news---God comes in flesh and says YES to all humanity. the task of living as a reforming movement---constantly letting the Holy Spirit show us where our personal and corporate lives must change in order to conform to the Gospel. When the Spirit directs us to reformation (of our own lives, the church, our society), we act in obedient trust. We seek peace and justice, calling for and working for necessary reform in God's creation. Commitment to all of this cannot be sustained without prayer. We come together regularly to praise God and receive nurture and guidance. We take the Bible seriously, trusting that although some of it may appear to be straw, it holds the precious Word of God just as the manger held Jesus (God's Word made flesh). We receive Baptism and Holy Communion as renewed promises that God will not ever or finally forsake us but remains as close to us and to the world as cleansing water, bread, and wine. This page reproduced from the ELCIC Website.